Benefits and Value of Teak Furniture, The price of teak furniture is usually rather expensive among other home furniture. The answer is caused by the natural oils and rubber found within the wood. Great quantity of natural oil and rubber locked right into the tight grain of teak wood, which protects the wood. Even the oils and rubber is still retained after being felled and processed during the production. After the drying process to a proper moisture level, the oils and rubber weatherproof the wood. Therefore, teak furniture is popular among other furniture as it has greater naturally weather-resistant. Oils and rubber give the wood many benefits; particularly protect the wood from dry rot, which is a common problem of wood furniture. Moreover, oils and rubber protect the heart of teak wood from its natural enemies like fungi and parasites. Due to its characteristics and quality, teak wood is most valuable used for outdoors and garden furniture. The quality of teak furniture does not lessen caused by excessive heat, hard rain and even harsh winter. The only problem caused by weather exposure is discoloration. New teak furniture has honey brown color that will turn into silvery gray when aging. A set of teak outdoor furniture is able to last for many years’ even decades, since teak wood is extremely durable and strong. As mentioned before, teak furniture is rather expensive, but it is worth for investment. You can take the money you would have spent on annual treatments to buy proper teak furniture for your outdoor. 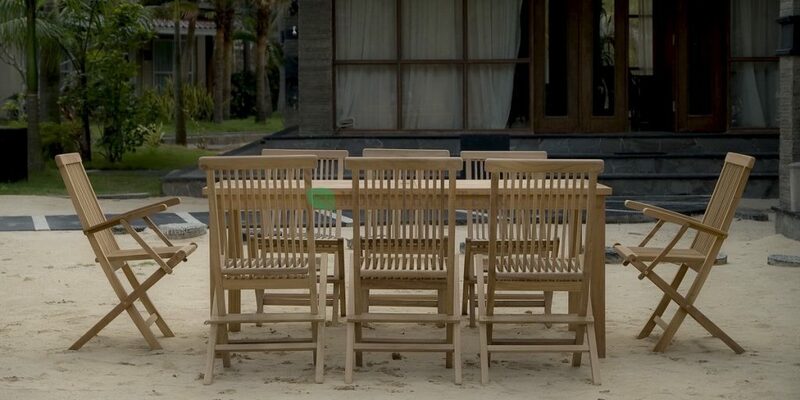 MoreThanTeak is one of manufacturer and exporter of Indonesian teak furniture, which presents wide array of home living furniture made from finest teak. Many years of experiences bring Every Teak as a reliable furniture manufacturer and exporter from Indonesia, that has capability to meet the need of global market for quality teak furniture. This entry was posted in article and tagged Benefits and Value of Teak Furniture.